The Captain Eddy Haneman Sailfish Tournament, the TJM Kayak & SUP Fishing Tournament, and The Fisherman’s Post Wrightsville Beach Inshore Challenge aim to promote the sport through charity and fellowship. Weather conditions proved to be a challenge for anglers participating in various fishing tournaments around Wrightsville Beach on Friday and Saturday, July 27 and 28. Intermittent thunderstorms and a steady longshore breeze made for less than favorable conditions. After 13 boats registered for the Eddy Haneman Sailfish Tournament on Thursday night, two of those entries decided not to fish. According to Tripp Brice, tournament organizer and dock master at Bridge Tender Marina, it was the lowest turnout in the tournament’s 19-year history. Captain Bobby Brown and his crew on the Low Roller brought home the winning dolphin, weighing in at 15.3 lbs. Junior angler Hayden Watkins released the only sailfish of the tournament, fishing aboard Les Edwards’s vessel Horse. Watkins will be awarded with a life-size sailfish mount, the Johnnie Baker Memorial Trophy, for his effort. 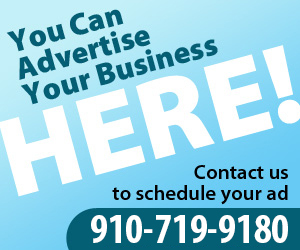 A portion of the proceeds from the tournament each year benefit Lower Cape Fear Hospice, and this year the organization will receive a $5,000 donation. In addition, the tournament always supports a local member of the community that is facing some type of hardship and in need of financial assistance. This year’s recipient, Philip Hatcher, is a former Wilmington resident and triathlete who was recently hospitalized with a severe spinal injury in a mountain biking accident. Another $7,000 will be donated to Hatcher and his wife Kelly to help with medical costs while his recovery continues. Local kayak and paddleboard company Hook, Line and Paddle held its 10th annual charity tournament on Saturday. 89 individual anglers from North Carolina, South Carolina, Virginia, and Flordia participated in the event benefiting the New Hanover Humane Society, raising $3,300 for the organization. Tournament director Ryan Meddock said that many of this year’s anglers returned this year after weather kept them from fishing in the previous event. 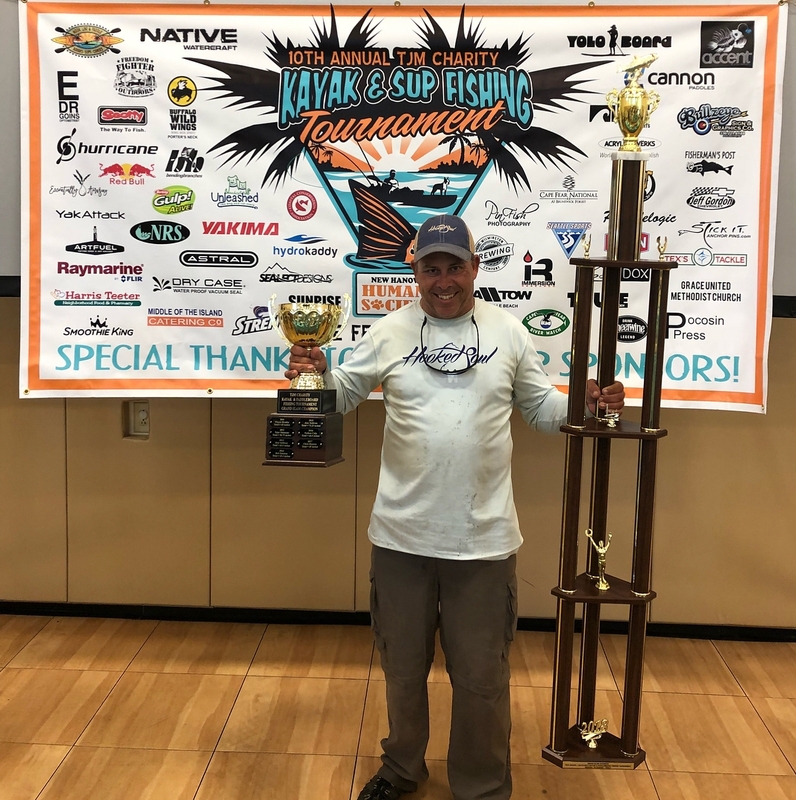 Michael Kachman of Pawley’s Island, SC was this year’s Grand Slam Champion, while other winners were recognized for the largest flounder, redfish, or trout. Also hosting a one-day event on Saturday, The Fisherman’s Post held its longest standing tournament, the Wrightsville Beach Inshore Challenge, for the 13th year. Prizes were awarded for the heaviest single flounder and red drum, as well as the most aggregate weight for the two sought after species. With 66 teams entered, Team Spotting Tails reeled in the largest flounder (5.57 lbs.) and team Simple Life caught the largest red drum (7.37 lbs.). The top prize for aggregate weight was awarded to team Fishin’ Bills (11.54 lbs.). Junior angler Ava Moore was recognized for her catch, in addition to lady angler Wendy Moore and senior angler Coke Gray. Volunteers with the Wilmington Elks helped release many of the fish brought to the weigh station at Wrightsville Beach Marina, and tournament proceeds will benefit the Elks to aid their mission of helping children, enhancing communities, and honoring the service and sacrifices of our military veterans.